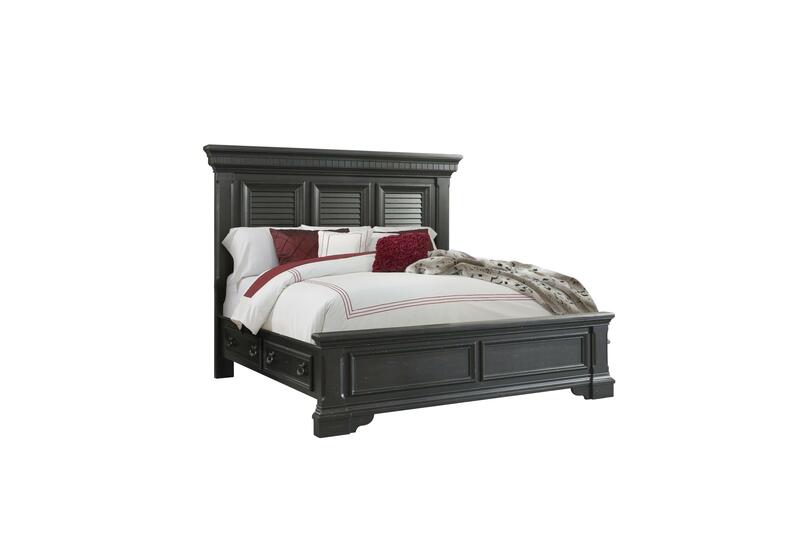 The Picket House Furnishings Bradshaw Queen Platform Storage demands to be the center of attention in your bedroom! This bed stands out with its dental molding along the top and shutter style, high profile panel headboard. The side rails feature two drawers on each side for extra storage space. The low profile footboard features bevel edges and bracket feet.